Who knew that a kitchen and bath designer could get so jazzed about geeking out on appliances!? I just got off the phone from an interview with AHAM, who by the way is an amazing organization! 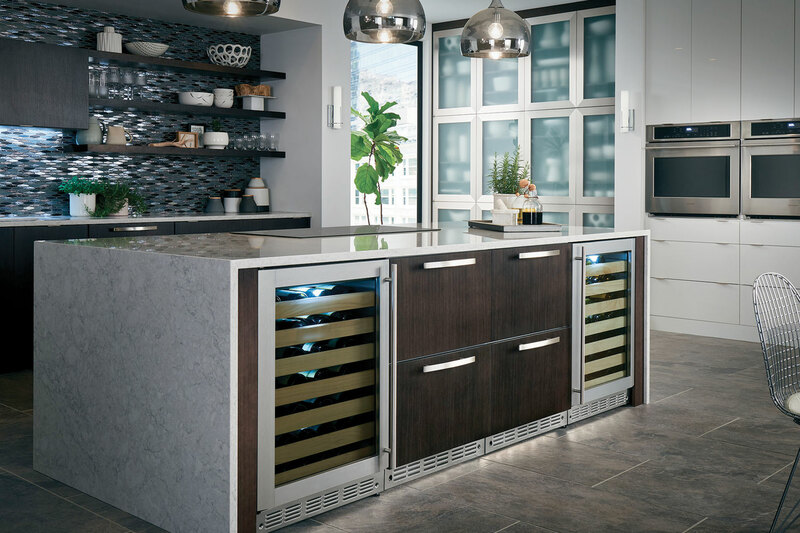 They are working on a blog about appliances and cabinetry, and they found me online after I met one of their executives here in Seattle at the Smart Kitchen Summit. I love doing phone interviews, mostly because I adore what I do and I have this thing in me that drives me to want to share and teach. And I just realized a phone interview is like doing Improv! Thinking on your feet, which is a tool I utilize in my daily creativity practice! The interviewers always get way more than they bargained for. Hire an NKBA Certified Kitchen and Bath Designer. Think about the big picture when selecting your appliances. Don’t just run off and buy an appliance package Sunday afternoon at the close out sale! This is a major investment, slow down and do it right the first time. Be willing to learn and do things differently. Technology has changed since the last time you bought appliances. I am also sitting here writing a class on dishwashers! Again, I am beyond shocked that I am having so much fun geeking out on appliances. I already posted the #ScrapeAndLoad blog a couple weeks ago, which came from all my research as I’m developing this class. I have a newfound appreciation and awe of this appliance, and the people who have developed it over the years. I am changing my own dishwasher behavior as well. I believe we can’t preach what we don’t practice. And . . . drumroll please, I’m also gingerly trying on the hat of an inventor. Again, it’s an idea that came from years of designing kitchens and working with clients, years of my own personal experience, recent years of research, interest, exposure to all that is new and different . . . which all led to spark an idea. I’ve chatted a little about the idea, refined it over and over, and very carefully chose who to speak with about it. The stars aligned – I just happen to know the right people who have an avenue for such ideas and it sounded interesting to them. So, also open in front of me today is my proposal for this product idea that I intend to submit in the next few weeks. I chose a name for the product, what it will look like, how it will work, the what and why of it, how to sell it, target market, target outlets, market to try first to see if there’s interest, etc. And no, I have never done anything like this before, and no, I’m not going to tell you what it is. Yet! But I’m so excited! As a Creativity Guru, I am constantly in awe of the creative process. As you see in my day today, it’s not all right brain activity, there’s a lot of left brain going on also. But the beauty and awe comes from watching both interact and function together so that these things I’m accomplishing today can happen. I’m going to start writing more about creativity for the blog coming up. I think it’s a fascinating ability we all have that most don’t understand.